Recently I have been feeling really bloated. I’ve always heard other girls complain about this and used to sit there smugly because it never happened to me! Of course karma hit me and now for the past two months I have been getting such bad bloating. I tried cutting out gluten to see if this was the problem. It wasn’t. I actually found I bloated more after eating a salad then after eating a bowl of pasta! It has been a real annoyance to me these past few months. I work so hard in the gym and try and eat healthy and to feel like my stomach just felt fat and puffy was not the result I felt I deserved. I have been doing a lot of research on how to stop bloating and have decided these are my three changes to try and help stop the bloat! Stop eating just before you get that really full feeling. Your body is normally full before you realise it so excess eating can add to that bloat. Chew more slowly – Oops I normally inhale my food! 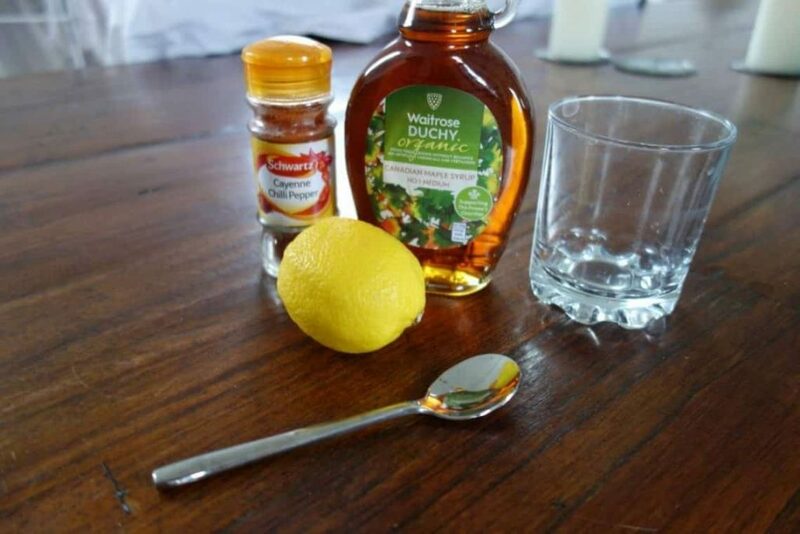 A natural cleanse that I’m going to do once a month. 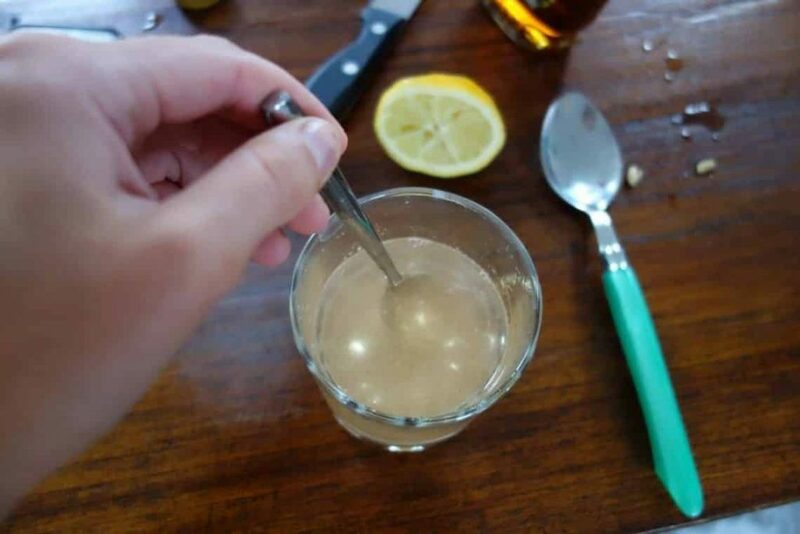 Pour half a teaspoon of cayenne pepper into a glass. 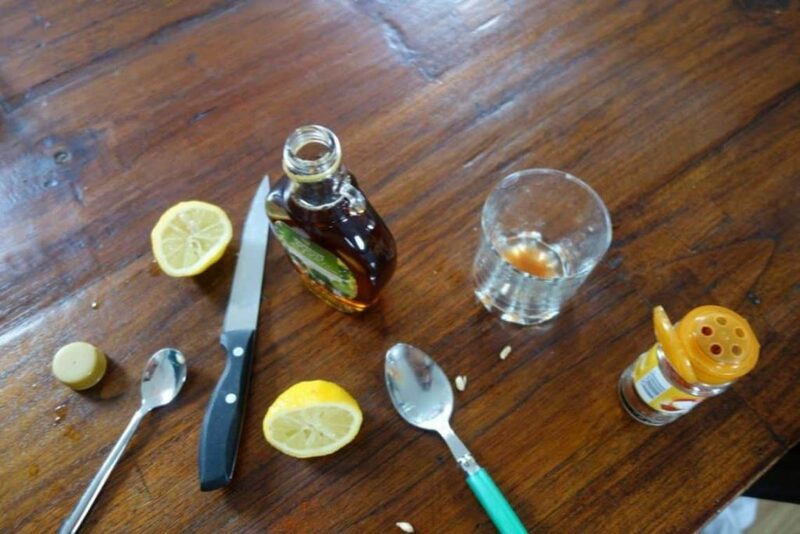 Add four tablespoons of lemon juice, fill the glass with warm water and stir thoroughly. Then add half a teaspoon of organic maple syrup.